See scan - perfect condition. 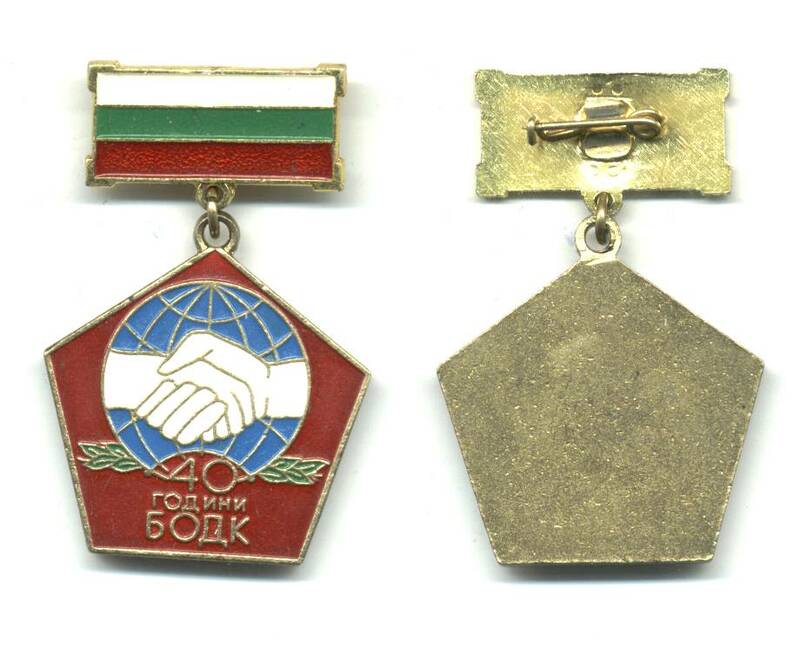 This is an extremely scarce Bulgarian Communist era award. 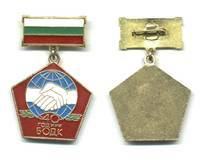 This medal / decoration was issued and presented by the Bulgarian Foreign Ministery and specially by its subsediary department - the Bureau For the Service of the Diplomatic Corps (in Bulgarian the BODK). The medal was issued in about 100 pieces and was awarded to staff with at least 20 years of service to the Diplomatic Corps as well as to a number of members of Diplomatic missions that were Soviet oriented. Scarce communist era piece and a true collector gem. I'm sure this would come out to the market for first time.